I saw that kindness when the young man from the bed-and-breakfast walked me to the bus station at 7 am; when a female tourist taught me to deal with altitude sickness at the Yulong Snow Mountain and when a woman called Wang Yalan asked whether we can keep each other company after a car crash. 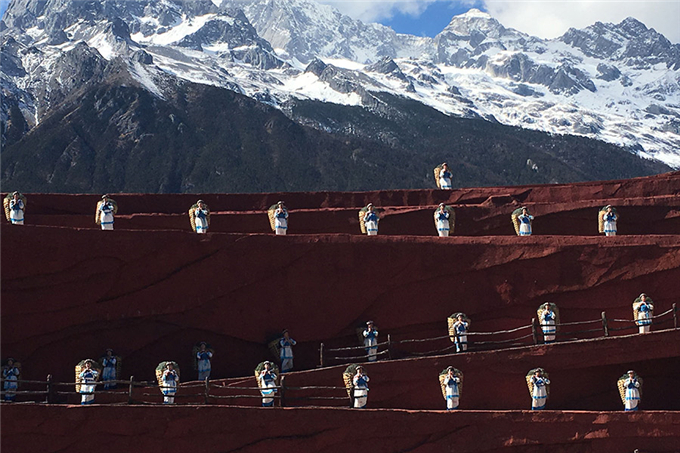 We were on the highway heading for the Tiger Leaping Gorge, one of the country's deepest gorges located between Lijiang city and Shangri-La, in the Dechen Tibet autonomous prefecture in Yunnan. The Jinsha River jumped among the rocks to form rolling waves and chopping rapids like tigers roaring in the valley. The driver was answering a question from a passenger when suddenly he saw a truck stopped in the front. He braked hard but the car turned 180 degrees, hit the guardrail and then the truck with gorges and rivers below.